UK Games Tax Relief has helped to fund more than 480 different projects, totalling around £230 million in payments to game developers. However, at the GamesIndustry.biz Investment Summit yesterday, an expert panel highlighted a significant gap at the lower end of publicly available funding for video game projects. In her role as head of community for the UK Games Fund initiative Tranzfuser - you can read more about that here - Kirsty Gibson works with teams that benefit from the Fund's relatively small investments. However, while UK Games Tax Relief has been a force for good in the national industry since its introduction in 2014, virtually all of the teams she works with would likely fall outside of its reach. "The type of companies that we fund potentially don't have enough experience, budget, work within the industry to apply for tax relief," she said. "The companies that we fund potentially don't have enough experience, budget, work within the industry to apply for tax relief"
"It's all well and good for those who've been around the block, who've been publishing games for a while and working on games for a while - that's great, and it is a fantastic initiative. But if you want to have - and I think we all do - a vibrant, dynamic and diverse original IP scene in the UK, then the work that we do is essential to that, I would say." The UK Games Fund launched in launched in October 2015, with a remit to issue grants of £25,000 to promising new development teams. As such, it has existed for almost as long as tax relief itself, and Gibson believes it plays a vital role in preparing smaller and more inexperienced teams for what lies ahead - with funding, but also with advice, networking, and online sessions about key aspects of the games industry. "Some of it may have been a bit above their heads, and not something they would think about in the next weeks, months, years," she said. "But it's essential for them to be aware of what's further down the line, and the support that will be available for them.... We push those people that could potentially be eligible for tax relief [in future] into the sector, and support them." Alan Moss, a partner at the tech-focused law firm Harbottle and Lewis, also praised UK Games Tax Relief. Indeed, in his work on Harbottle and Lewis' video games law team he deals with developers seeking Tax Relief on a regular basis. However, he noted a gap in available public funding, into which many studios that require more than £25,000 are likely to fall. "From our perspective we notice a disparity between public funding for film and games"
"There is other public funding [to tax relief] - including the UK Games Fund, which is great, and Northern Ireland Screen, and others depending on where you're based," he said. "But from my perspective, there is a real need for additional public funding for studios. "We work with so many studios who say that the biggest challenge is raising finance for games. It's great having publishers, and they're absolutely vital to the industry, but the Bazalgette review... recognised a gap in the budget levels between £50,000 and £3 million. And that's what we see, too. "And our other perspective is that, across other media industries such as film... The film industry enjoys a tremendous amount of public funding, so from our perspective we notice a disparity between film and games." The film industry has Film4, the BFI and BBC Films, he said, which between them award around £65 million in funding every year. "If there was even a tenth of that for the games industry, I think it would be really helpful," Moss added. This trend is supported by the most recent data on tax relief for the creative industries. While 480 games have benefitted from the scheme, which has been extended until 2023, more than 2,420 films have received support of the same kind. 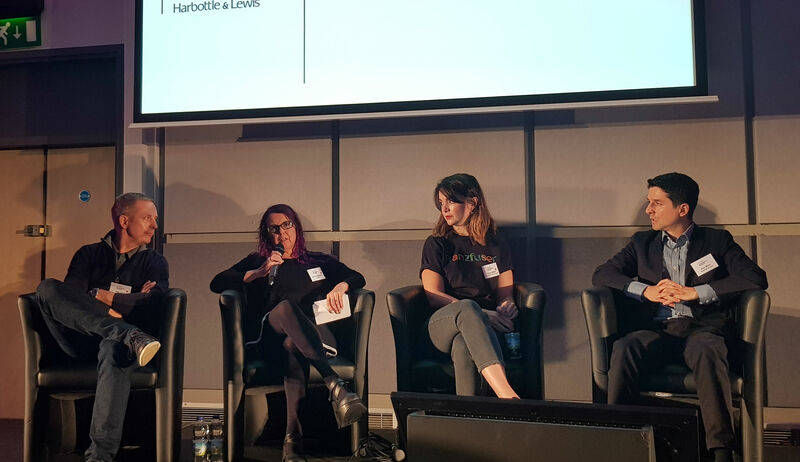 You can read more about the talks at the GamesIndustry.biz Investment Summit in the coming days, but our account of Team17 CEO Debbie Bestwick's advice for studios seeking funding can be found here. It might be better if the video game tax relief process wasn't aimed at story based games from large teams - I'm sure more indies would make use of the benefits if it wasn't so confusing.